An Australian lawyer's tips for overseas entrepreneurs launching a startup in Australia. If you are an overseas entrepreneur setting up a company in Australia, we have some useful tips to share with you based on some commonly asked questions. 1. Can I live overseas and set up an Australian company? Yes, to do this, you will need to have at least one director that lives in Australia. You can use of our director consent form below if you are appointing an Australian director. Also, the Australian Institute of Company Directors has some useful resources for directors. 2. I don’t know anyone that is willing to be an Australian director for my company, what can I do? For an annual fee, an Australian resident director service can supply a director for your company. 3. Do I need to give shares to the Australian resident director ? No, you do not need to allocate shares to an Australian resident director. And you can be the only overseas shareholder if you choose. Also, directors do not have to be shareholders and shareholders do not have to be directors. Finally, you should note that you need to have the minimum office holders required to run your company structure otherwise the Australian Securities and Investments Commission (ASIC) may fine you. This means, you need to have at least one resident director at a minimum. 4. How do I allocate shares to investors? There are a few steps, let's go through each together below. If you have not already, you should read our full article "4 tips for allocating shares to an investor". First, discussions will take place with the investor, then the investor will usually present you with a term sheet that outlines the key terms for the share sale. There is usually no intention for the term sheet to be binding. You can use our sample non-binding terms of agreement on the resource page as a starting point. After the terms have been agreed in the term sheet, these terms will be included in a share sale agreement. A share sale agreement outlines the sale terms. This agreement helps set clear expectations for the sale and can reduce disputes. Make no mistake, unlike the term sheet, agreements are legally binding. If in doubt, get advice before you sign one. Finally, you will need to notify the Australian Securities and Investments Commission (ASIC) of the share sale. If you are unsure of how to do this, a lawyer or accountant can help you. Remember, you need to do this within the mandatory 28 days to avoid a fine from ASIC. Below, you can download our complimentary templates, you can use them to allocate shares to investors. 5. What costs are involved in setting up a company structure? The initial setup cost will include the ASIC fee, currently $488 and also the lawyer or accountant’s service fee. ASIC also charges an annual renewal fee which is currently $263. 6. How long does it take to set up your Australian company? Your company can be set up in minutes if you have the right information. The Australian business number, goods and services tax registration, PAYG and company tax file number usually follow within a week. 7. What information do I need to set up an Australian company? If you want help to set up your company quickly, you can download our checklist and registration form below. 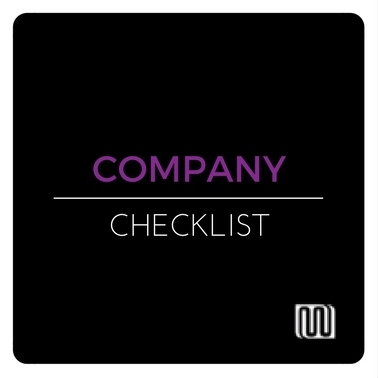 Your company checklist download includes information needed to register your company. Plus we have included a form to help you gather details for your company registration.